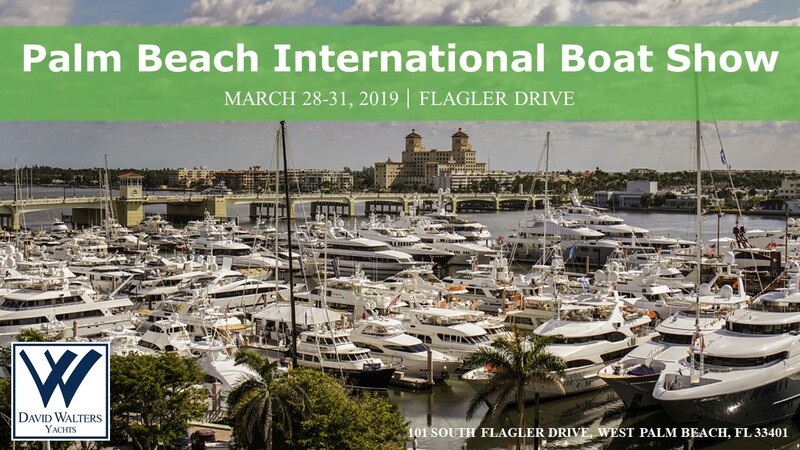 The Palm Beach International Boat Show takes place March 28-31, 2019 on the West Palm Beach waterfront along Flagler Drive. The show will feature more than $1.2 billion worth of yachts and accessories, including hundreds of boats ranging from 8-foot inflatables to super yachts nearly 300 feet in length. In addition to the large selection of boats and exhibits, the show offers fun and educational activities, including free youth fishing clinics by Hook The Future and IGFA School of Sportfishing seminars. It is highly encouraged to schedule showings in advance. Contact sales@davidwaltersyachts.com to schedule private showings and for assistance in coordinating your visit. Our entire crew will be available to assist you.